VW will launch the Skoda Kodiaq in China next month. In China, Volkswagen Group initially was slow to respond to consumers' strong appetite for crossovers and SUVs. For years its two mass-market brands, Volkswagen and Skoda, had only three Chinese crossovers -- the VW Tiguan and Touareg and the Skoda Yeti. But now the automaker is preparing to roll out a wave of crossovers and SUVs. By 2020, the Volkswagen brand will launch 10 new or redesigned crossovers in China. The first two -- the elongated Tiguan crossover and the Teramont SUV -- will hit the market in the first half of this year. In the same period, Skoda will roll out four new crossovers. 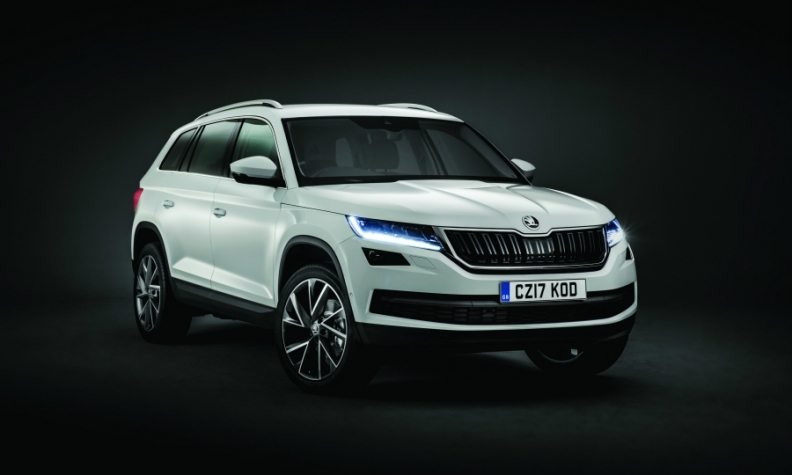 The first of those -- the Skoda Kodiaq -- will go on sale in February. Volkswagen's product blitz raises the stakes in its battle with General Motors to remain China's top-selling foreign automaker. So far, GM isn't backing down. This week, GM announced plans to introduce nine new or redesigned crossovers in China. Due to Volkswagen's limited mix of crossovers and SUVs, it was outsold by GM in 2015. But VW regained top status last year when it sold 3.98 million vehicles, edging GM's 3.87 million deliveries. Now, supported by its fast-growing lineup of crossovers and SUVs, VW has a chance to widen its lead over GM. VW's resurgence also will exert pressure on other automakers such as Ford Motor Co. and Honda Motor Co., which rely on crossover sales. To avoid being left in the dust, other major global brands likely will follow suit with plans for new product launches. Someday, China's crossover market will become saturated -- but it hasn't happened yet.